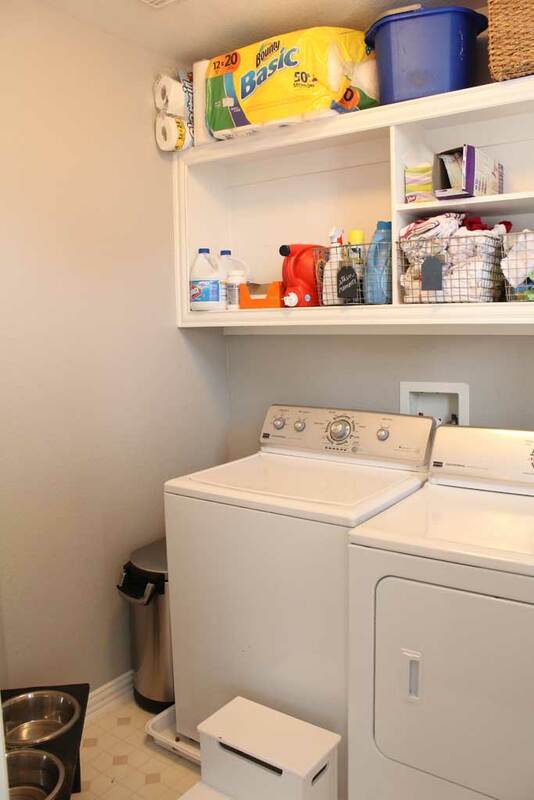 Or as a second example our laundry room is right off of our kitchen, which is very convenient for moving laundry along, but it means when the laundry spills out of that room it is basically at our kitchen table. And the cheap-o drying rack we have used forever only fits on top of the dryer, which makes it even LESS stable. I have plans to make (and have bought all the supplies) this guy to hang on the wall but it requires painting the dowels and wooden pieces and its been TOO DANG COLD to paint anything. So I’m hoping for some time this weekend to get it done. These are what I call snowball projects… it starts with a small thing I want to do, but in order to do the small thing I have to do a bigger thing first, but that requires a bigger project too and pretty soon I’m working on a huge project that I didn’t really intend to. Like re-doing our guest bathroom. 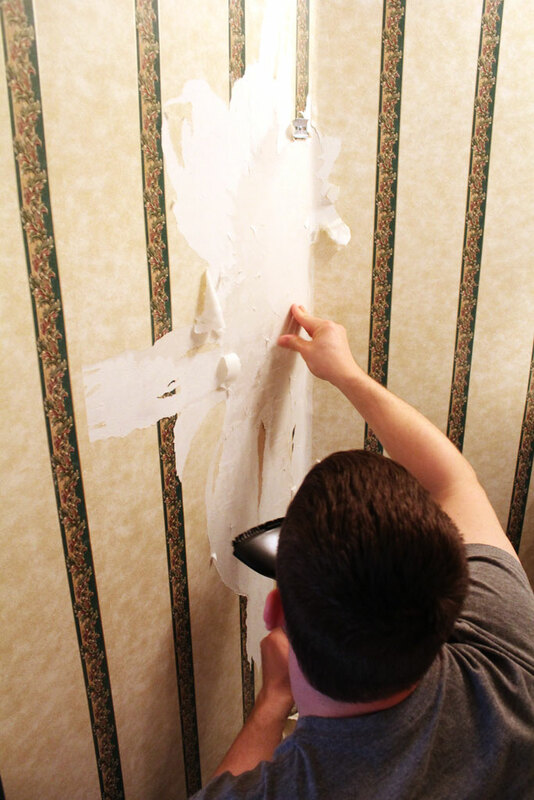 I got a little stir crazy a few weekends ago and decided it was time to strip the wallpaper in the guest bathroom downstairs (the only truly hideous room in our house) and never having stripped wallpaper before I thought this would be a fun little project. HA. HA HA. 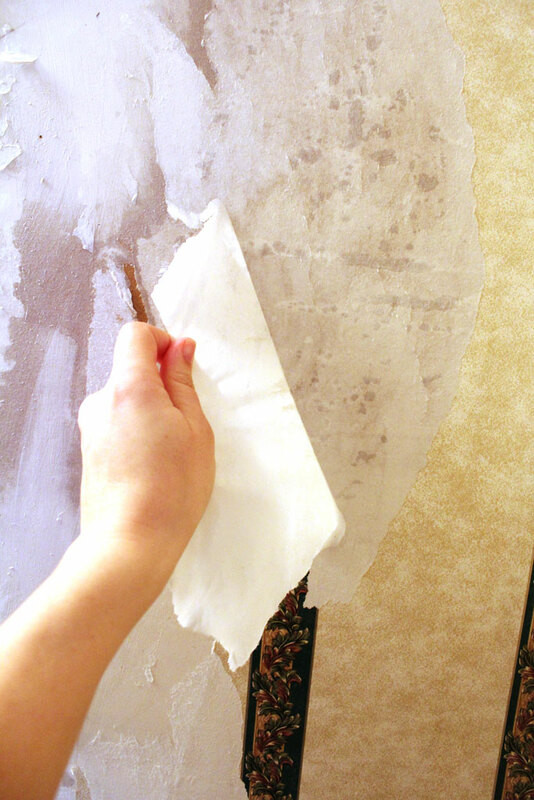 Two weeks later and several hours long peeling sessions, I’m about halfway done, the bathroom looks FAR worse than it did before and I’ve tried several methods of wallpaper removal–all to no avail at making it any easier. (these pics were the first session of peeling when we were using the steamer). Oh and somehow in this process we knocked the tube out of the toilet which made water (fortunately clean water) go all over the floor every time you flushed. Since we didn’t know this is what we had done and just knew the tank spilled water all over the floor every time we flushed, we called the plumber to come out to fix our problem. He spent about .2 seconds reconnecting the tube while I sat mortified that I’d called a plumber to fix such an easy problem. HOME OWNERSHIP for the win. 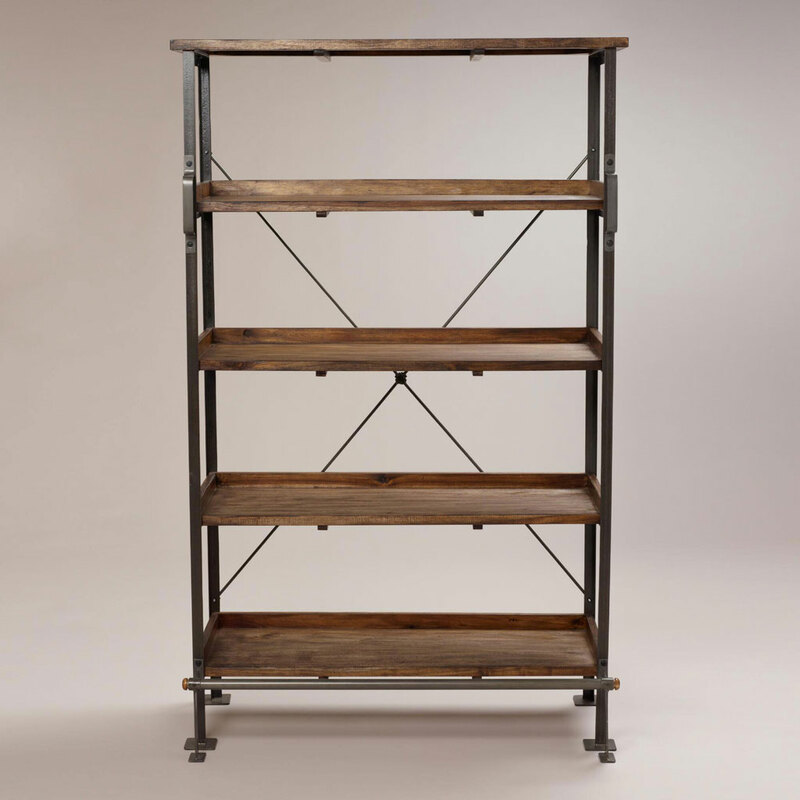 And in other project ADD, I ordered this bookshelf from World Market (pick up in store so I didn’t have to pay 80 dollars in shipping) since it was a nice large bookshelf in the style we like for 325 dollars with tax and everything! 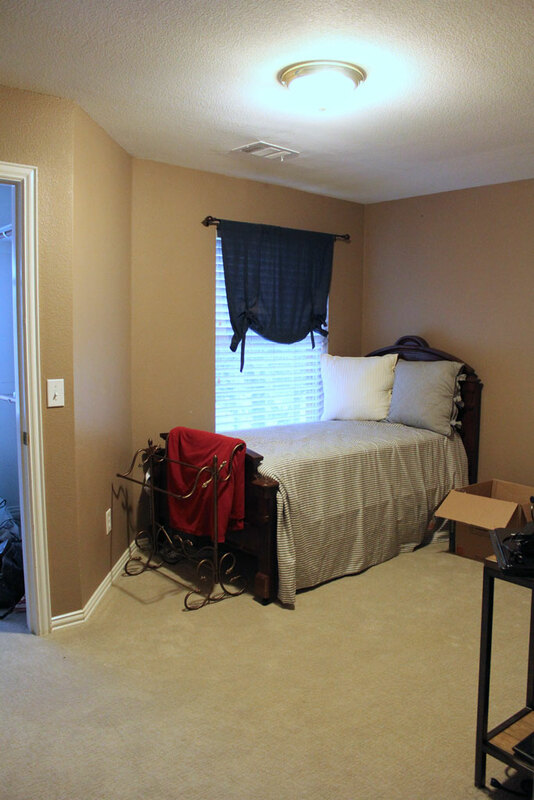 I got it assembled yesterday, so I’ll snap a few pictures of it and show you what it looks like in our bonus room tomorrow. I love it!! And it’s still on sale, so snap one up if you like it! Anyway, this post has been as scattered as my projects have been lately, but that gives you a glimpse into where my head is at these days!! And the good news is we are supposed to have a few more nicer weeks of weather so hopefully I’ll be able to focus and get some projects done now that I can be in the garage again!